The winter Olympics have been truly action packed this year and we’ve seen our fair share of dramatic moments and surprises. One of the biggest surprises came when Germany’s male ice hockey team beat Canada’s famed team in the semi-final. The outcome was a surprising one, as the Canadians were the favourites to win by far, seeing as they’ve been very successful in ice hockey at previous Olympics. The match was a tight one and Germany won 4-3. Canada seemed broken hearted and Mat Robinson, one of Canada’s goal scorers in the match stated that he felt he had let his country down. Germany was obviously very pleased with the result and the German Foreign Office decided to create a tweet, which was labelled as a ‘travel advisory’, that added a bit of insult to injury for Canada. Even though the tweet was very polite it had a sort of snarky undertone. The tweet encouraged Germans to be empathetic towards Canadians, buy rounds of hot chocolate and even ‘hug’ a Canadian. The tweets ended by posing the question of how would Germans feel if Canada beat them in soccer. The tweeting didn’t end there. Next up it was Canada who came in with a retaliation tweet of their own, which read: “Thanks @GermanyDiplo. Congrats on your first shot at gold! We remember our first gold medal match in #IceHockey like it was yesterday… 1920 to be exact,”. This pointed out the fact that Canada had a long withstanding history of success and Germany’s win may have been nothing but a fluke. All we can say is that at least everything was in good humour and there was no behaviour that could be deemed as bad sportsmanship. 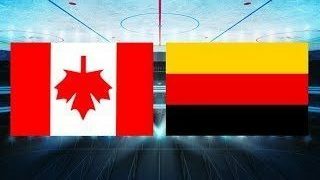 On Saturday Canada played Czech Republic for the bronze medal in an exciting match and ended up winning the medal, joining Germany on the podium. Germany played against Russia in the final on Sunday and ended up winning! This is the first ice-hockey win in German’s history at the Olympics. They are rightfully thrilled and perhaps do deserve to gloat just a little. Iceland’s Great Bardarbunga Volcano Prepares For Eruption! Why You Should Book Your Ski Holiday Today!